Your local Home Depot store may soon feature a Tesla kiosk offering solar roof tiles that blend into your roof, at-home energy storage systems and other alternative energy products, reported a Daily Mail article. Starting in the first half of this year, Tesla, Inc. will set up solar energy kiosks in selected Home Depot stores. These shops will sell solar tiles and high-capacity Powerwall batteries. The company’s long-term goal is to establish a presence in 800 Home Depot stores across the U.S.
A similar partnership previously existed with Home Depot and the defunct alternative energy company SolarCity. Tesla acquired SolarCity in 2016 and later phased it out. The planned kiosks will feature huge displays measuring 12 feet by 7 feet. In addition to showing off the solar roof tiles and Powerwall batteries sold at those small stores, the displays may also demonstrate the operation of Tesla solar power products. The company has already installed its kiosks in Home Depot stores in Southern California. Similar booths are scheduled to open in Las Vegas, Nevada and Orlando, Florida, reported USA Today. Home Depot has 2,200 stores throughout the U.S. There is no word from Tesla about putting kiosks in every single one of those locations. Bloomberg earlier reported that Tesla is talking with home improvement chain Lowe’s for a similar deal. The cost of a typical Tesla-branded solar power system hovers between $10,000 and $25,000. A Powerwall battery unit costs around $7,000. Starting in May 2017, Tesla has been accepting $1,000 deposits for installation of its branded solar roof tiles. Unlike SpaceX’s Dragon rockets, the solar roof tiles are taking their sweet time to get off the ground. Right now the solar power system can only be found in the homes of company employees. If that slow start is bothering Elon Musk, he’s not showing it. The Tesla CEO recently introduced the Powerwall 2, a 14 kWh capacity home battery unit charged by solar roof panels developed with the assistance of solar energy company SolarCity. According to Musk, the Powerwall 2 boasts twice the capacity of the first generation Powerwall home battery. A single unit can provide 24 hours worth of electricity for the charge lights, sockets, and power-intensive refrigerator found in a standard four-bedroom home. 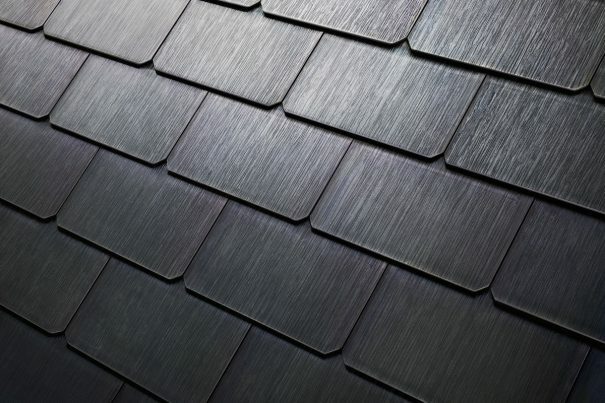 Tesla designed its solar power tiles to resemble normal roof tiles. There are options for tiles that look like they’re made out of slate or terracotta to better match the house. According to the company, the photovoltaic cells contained inside its glass tiles cannot be seen from street level. Working in conjunction with the Powerwall energy storage unit, a group of Tesla solar roof tiles can power a typical American home. The solar tiles have been structurally tested against hail, a common concern for people who use fragile solar power systems. Musk claimed that the tiles are rated to withstand hailstones the size of softballs. See more news on power innovations at Power.news.